Universal Orlando Resort is one of the alternatives to Disney in Florida; with two theme parks - including Universal Studios a boardwalk area, a waterpark and a number of resort hotels – there’s a wealth of things to see and do during your holiday! Orlando’s warm weather and year-round popularity means that much of the Universal Resort is based around outdoor areas. As well as a water park with thrilling rides and slippery slides which is a perfect place to cool off, the Universal Resort Boardwalk is a great destination on a balmy evening. Restaurants, shops and entertainment can be found here – meaning that even after the theme parks have closed, there’s still a lot to do at Universal. The great thing about a visit to Universal is that the entrances to each of the two theme parks can be found very close to one another, as well as to the resort hotels and Boardwalk area. This means that guests can easily spend the morning exploring one park before heading back to the hotel for the afternoon, or can sleep late in the morning before going for lunch at a restaurant on the boardwalk. It’s a great base for families looking to be within walking distance of some of the biggest rides in Orlando! 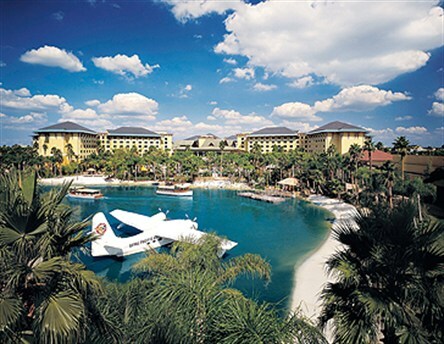 To find out about the Universal Orlando Resort water park, Wet’n’Wild, visit our inspiring water parks section.